The following article was composed by David Heraty of VOICE and posted to Buffalo Rising on June 21st. The article does a great job highlighting the efforts of many dedicated individuals who are committed to improving housing conditions in the University Heights neighborhood. The city's troubled University Heights neighborhood has been seeing positive change at the grassroots level. At the hands of negligent absentee landlords, crumbling housing stock has hollowed out the core of the neighborhood. From Englewood and Merrimac on the west to Lisbon and Minnesota on the east, the first few blocks in from Main Street were in pretty rough shape. A student housing unit was taken down by a fire. Tragedies have resulted from student party violence. The problems remain, but in 2011, the downward spiral began to reverse its course. Working through VOICE-Buffalo, a faith-based social justice organization, a handful of committed citizens decided to confront the problem head-on. They identified the problem, crafted a solution, and went to work - and ended up being the catalyst for a change in housing conditions. A trip through the neighborhood revealed dozens of houses which were in a state of disrepair. These properties were evaluated from a public vantage point for housing violations such as peeling paint, broken windows, and unsafe porch balconies, among others. A list of problem properties was compiled and, along with a detailed list of violations, was submitted to City Hall's 311 complaint system. The results were seen even more quickly than expected. As the neighborhood's most problematic landlords were issued letters of violation, many of them went to work making the necessary repairs. The landlords who failed to fix the violations found themselves in Buffalo City Housing Court. The inspector's efforts to work with the landlords paid dividends, and within a few months, substantial exterior improvement was noticeable. However, there was still the question of interior violations such as faulty wiring and unsafe living quarters. Working with UB, the city's Inspections Department developed a pilot program called Operation Student Safety. Its purpose is to obtain access to rental housing units and conduct interior inspections. For the past three semesters, sweeps of the neighborhood have covered every street that is plagued by problem properties. Several of the property owners have found themselves in Housing Court. The most egregious example was a property on Lisbon, which had to be condemned due to the magnitude of the violations. The organizers from VOICE-Buffalo still play a part in the process, submitting fifteen problem properties to City Hall each semester for special attention. Once a safe haven for negligent landlords, University Heights has become a model for effective enforcement of the housing code. 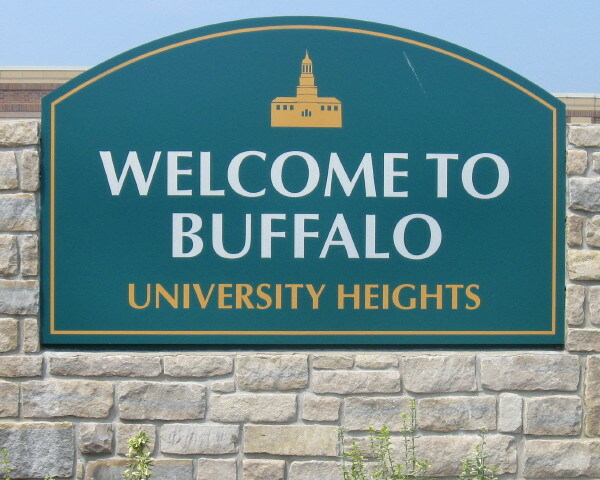 The success in University Heights has been a joint achievement of the university, city inspectors and VOICE-Buffalo. There's much more work to be done to rebuild the neighborhood, but an improvement in the inspection process - and by extension, the housing conditions - was an important first step. It's also an example of how ordinary citizens can achieve social change by acting locally. I used to sleep on weekends..
A great example of how citizens can make a difference and clean up their communities when working together.